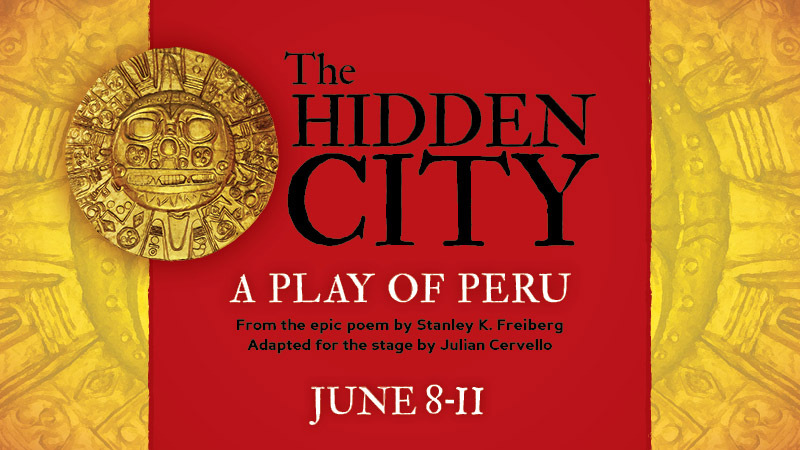 Scrumpy Theatre will be presenting an exciting new play called The Hidden City adapted for the stage by Julian Cervello based on the epic poem by Stanley K. Freiberg from June 8-11 at the Paul Philips Hall 1923 Fernwood Road. Follow the journey of two hikers in the nineteen seventies as they discover the magical world of Peru and are possessed by the spirits of the Inca. With an award winning team of designers (Mercedes Batiz Benet/Puente Theatre, Kathryn Popham/Erewhon Theatre and Grayson Walker/Hearse), Cervello promises a magical road trip adventure of visual and lyrical delight.